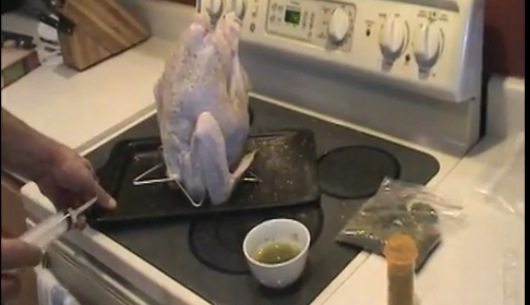 Thanksgiving THC Turkey deep fried to perfection and injected with thc-weed butter, made from pure kief. Using a deep fryer for turkeys, I made a garlic, lemon-butter marinade using 1 stick of butter and 6 grams of pure kief. Then its injected into the turkey using a large syringe for marinades, and fried to perfection. This simple recipe is absolutely amazing, has no marijuana flavors, and can be made using any flavors and seasonings you desire.